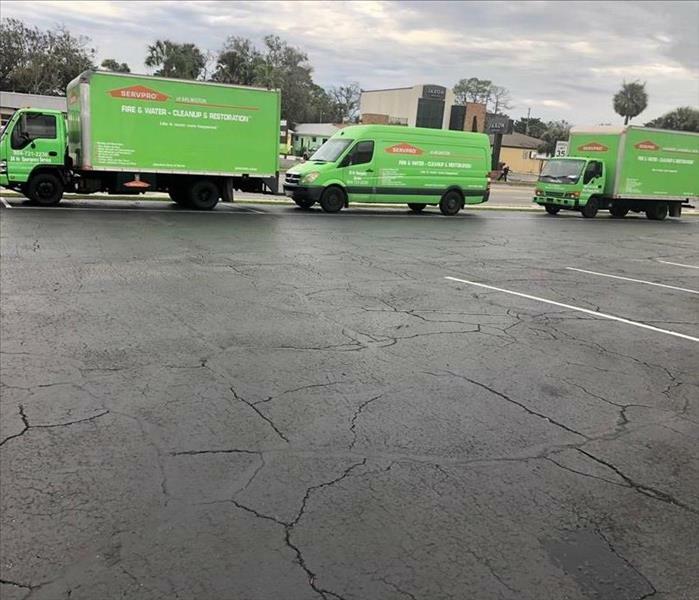 As one of the Top 100 SERVPRO franchises, our customers can remain assured that our practices of providing fast responses and quality restoration work are making a difference in the communities that we serve. We have a comprehensive approach ranging from the initial inspection and estimation practices to full reconstruction services. There is no job too big for our team to handle. We are a Large Loss Recovery franchise and one of only six disaster relief teams in the state of Florida. We have the equipment and the personnel to provide our assistance far beyond our service area to help those impacted by the worst of natural disasters including hurricanes. Through our ongoing training, our experienced technicians can provide efficient and effective service to overcome fire damage, smoke damage, water damage, flood damage, biohazard damage, storm damage, mold damages, and offer premier cleaning, abatement, removal, and reconstruction services. SERVPRO of Arlington is locally owned and operated—so we’re a part of this community too. We are also part of a national network of over 1,700 Franchises, which enables us to respond quicker with more resources. For major storms and disasters, we can call upon special Disaster Recovery Teams strategically located throughout the country.